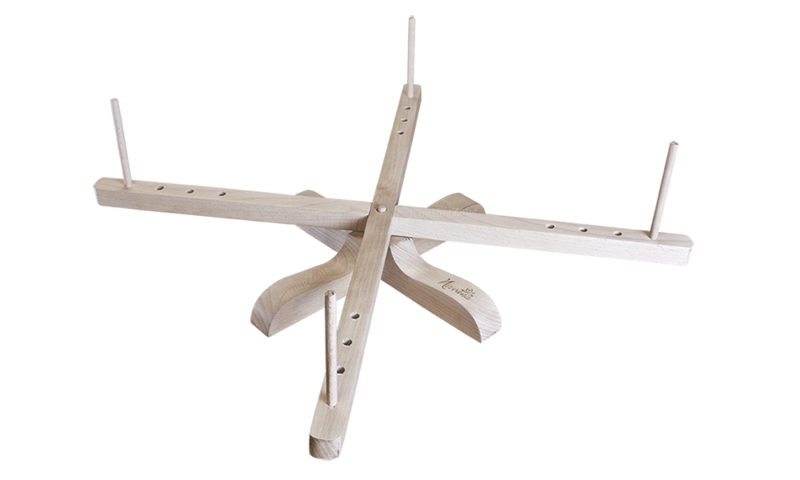 Wind skeins of yarn faster and easier with this wooden yarn swift. This medium size, hardwood swift is hand crafted and finely sanded. 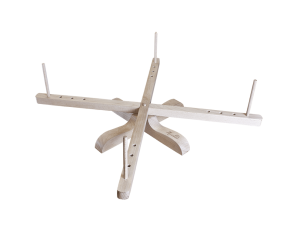 Use on any level surface, this swift adjusts to allow for skein sizes from 24" to 60" in circumference. This is a natural wood product; color and grain variations are normal. This items' original package was damaged and it will come in a plain brown box. The product itself is undamaged.